I was looking to make a quick and fresh lunch, filled with protein and low-carbs. I used what I had in my fridge (very simple ingredients) and came up with this delicious salad. It takes 10-minutes to prepare at most. 1 Can of Tuna (I used albacore in water). 1 Medium Tomato, cut in half-inch cubes. 2 Stalks of Green Onion, chopped into small pieces. Half Bulb of Fennel, thinly sliced. Handful of Roquette or Arugula. 4 teaspoons of Olive Oil. Prepare the tuna by draining the water out of the can, and place the tuna in a bowl. 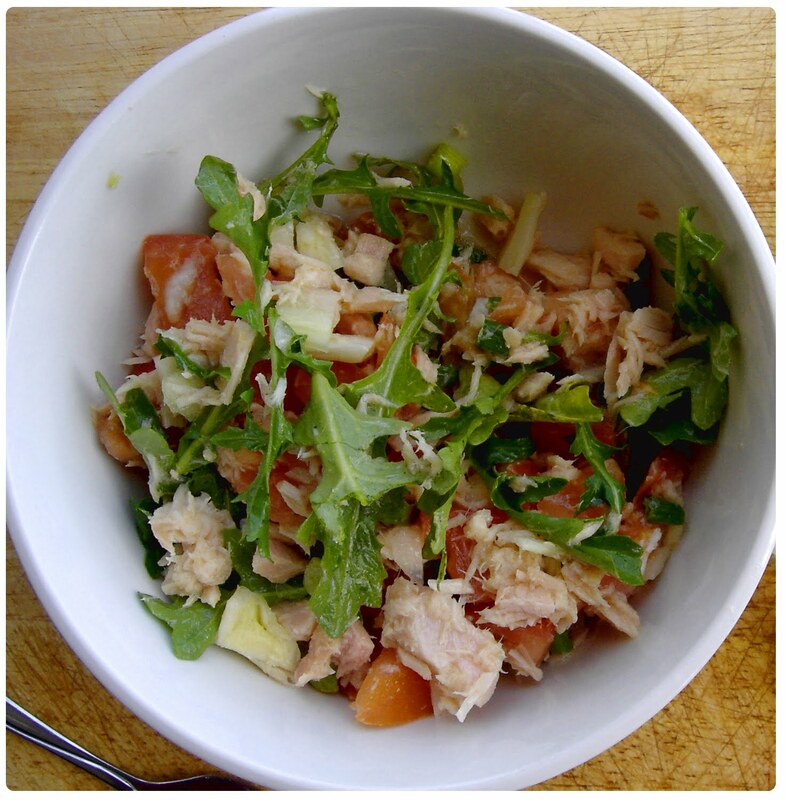 Add the tomato, green onion, fennel, and the roquette over the tuna and mix. In a separate bowl whisk the olive oil, lemon juice and salt together, then add the mixture to the tuna. Serve the salad with the lettuce leaves on the side. 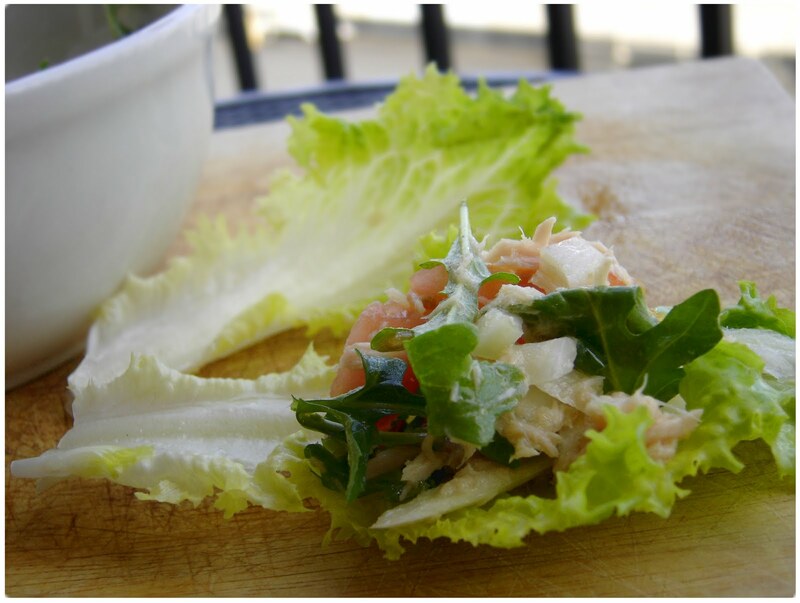 You can fill the lettuce leaves with the salad, making small “boats”. This entry was posted in Salad and tagged Gluten Free, Low Carb, Salad, Tuna. Bookmark the permalink.